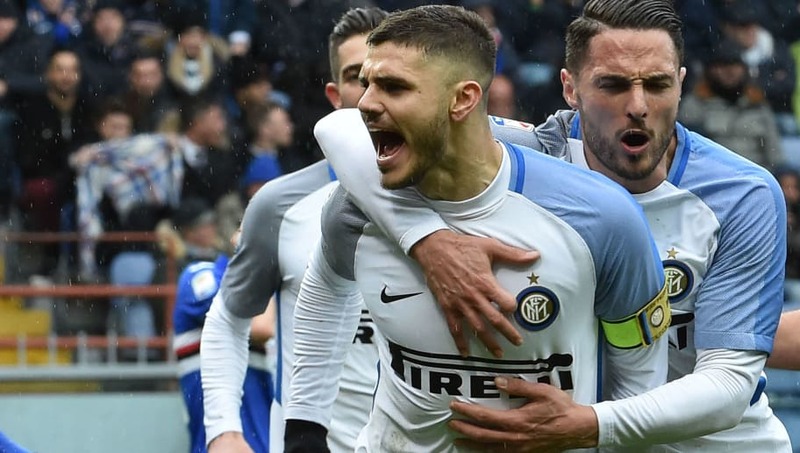 Mauri Icardi is 'confident' that a deal can be struck over a new contract with Internazionale but his wife and agent, Wanda Nara, confirmed that the pair hadn't thought about conditions and figures they want in a new deal. Nara claims that she has already held meeting's with Inter's sporting director and that their relationship with the club's hierarchy is good, asserting that there is "no tension" with Icardi and the decision makers at San Siro. "Mauro makes noise on the field, where he must make noise," Nara said, quoted by AS. "We are all very relaxed about it. "We are confident about the renewal and when I meet the sporting director [Piero Ausilio] at the stadium we laugh and joke. I sometimes make the joke: every day that goes by is always worth more. But there is serenity in the air, no tension. "When [a contract] is renewed, it is done to improve the situation in place. But we have not yet thought about the conditions and the figures." Nara added fuel to the fire surrounding Icardi's future in Italy last month by claiming that "a couple of important names" were interesting in signing the Argentine striker this summer, the most notable of which is believed to be ​Real Madrid. "I cannot foresee the future, but I can say that we like the project of the Zhang family [Inter's owners]. They want to grow and bring ​Inter back among the great clubs," she added. "In these years we have also remained without the Champions League. It is clear that we would like to achieve that this year."